Films at the Gate is only a few weeks away, and our curator Jean Lukitsh has been hard at work. The 2012 schedule is available here. Here’s a post from Jean about one of her selections: ONE ARMED BOXER VS. THE FLYING GUILLOTINE. Thanks Jean! 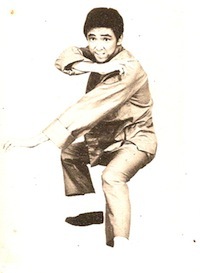 Wang Yu is one of the first modern kung fu stars. 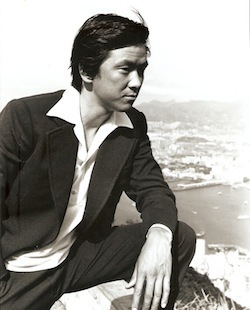 In the mid-1960s, before Bruce Lee made his iconic films, Wang appeared in martial arts movies for the Shaw Brothers studio in Hong Kong. The Shaw action director Chang Cheh was working in a new cinematic style that owed less to Chinese opera and more to the groundbreaking films of Kurosawa and Peckinpah. Wang Yu starred in THE ASSASSIN (1967), THE ONE-ARMED SWORDSMAN (1967), THE GOLDEN SWALLOW (1968), and RETURN OF THE ONE-ARMED SWORDSMAN (1969) under Chang’s direction. In 1970, Wang Yu wrote, directed, and starred in THE CHINESE BOXER (1970), a bona fide hit that brought him an international following. At around the same time, his relationship with the Shaw studio blew up over accusations of contractual breaches and lawsuits. After breaking with the Shaws, Wang Yu relocated to Taiwan and continued to make films there. 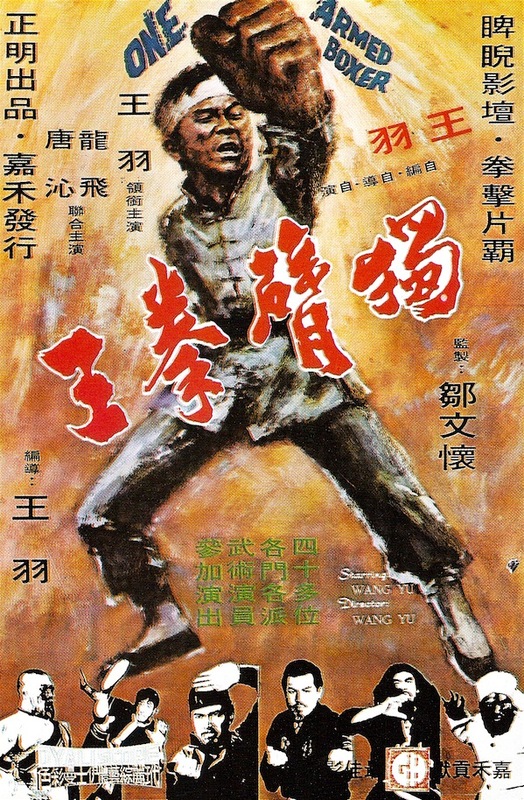 Shaw Brothers had maintained second unit locations and crews in Taiwan for years, so Wang Yu continued to work with his old friends from the Shaws, like the brothers Lau Kar-leung and Lau Kar-wing who choreographed Wang’s 1976 film ONE ARMED BOXER VS. THE FLYING GUILLOTINE. From the original ONE ARMED BOXER (1971) to Sammo Hung’s MILLIONAIRE’S EXPRESS (1986), Wang Yu carved out a solid career as a kung fu hero in mostly low budget films. 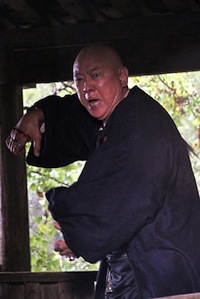 He reprised his One-Armed Swordsman and One-Armed Boxer roles several times. He worked with Jackie Chan on 1976’s KILLER METEORS, with George Lazenby on THE MAN FROM HONG KONG (1975), and even with Chang Cheh again in 1984’s SHANGHAI 13. Last year he came out of a two decade retirement to co-star with Donnie Yen and Takeshi Kaneshiro in Peter Chan’s WU XIA (DRAGON), which will get a US release later this year from The Weinstein Company.